It’s back-to-school season, and back to fall sports. We agree that proper nutrition and hydration will help athletes feel better and perform better. 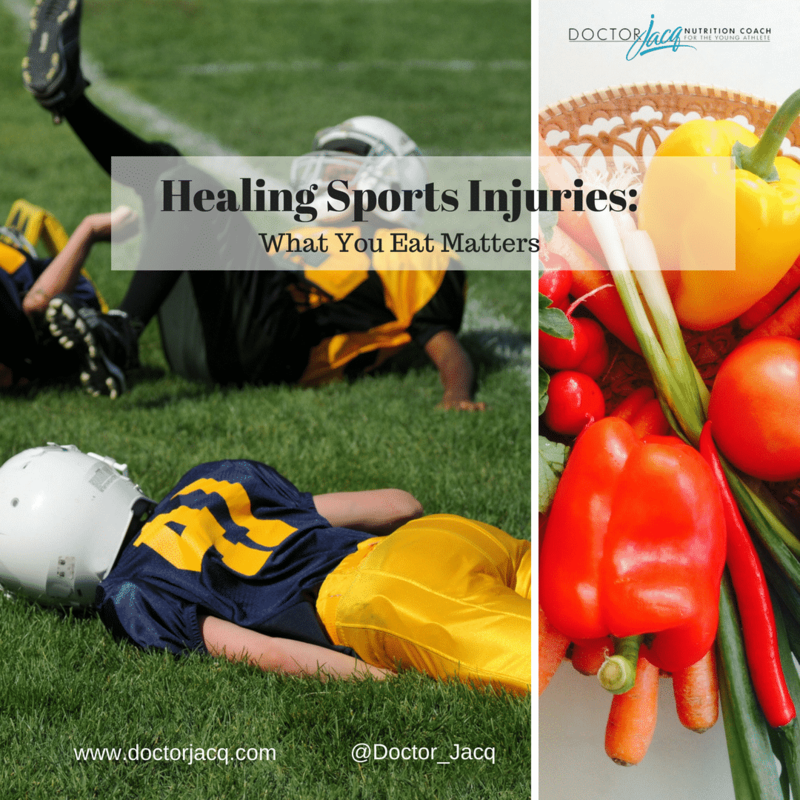 But did you realize nutrition is KEY when dealing with sports injuries? Sports injuries can be classified as “acute traumatic injuries,” (think fracture, bruises or contusions, muscle sprains, strains, or abrasions) or “chronic injuries,” like stress fractures and tendinitis. 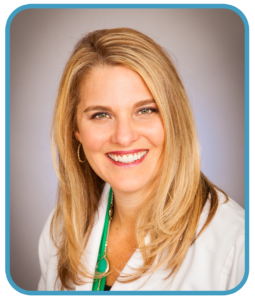 It is important to treat both types of injuries seriously, and of course, seek the advice of a medical professional. Staying off the injured list has become more and more important for elite athletes; athletes who spend the least amount of time hurt spend the most amount of time conditioning their bodies and improving their skills. Prevention is important in avoiding sports injuries-but that’s another blog altogether. Stretching, proper nutrition, hydration, and rest will decrease an athlete’s chance of sustaining a sports-related injury. However, injuries do happen, and taking care of them appropriately with rest, ice, elevation, therapy or even surgery will improve your chances of a quick recovery…but did you know certain foods can HELP or HURT your recovery? CALORIES matter: while it is true our kids will be less active while injured, and we might think they need less calories to avoid weight gain, their metabolic rate increases when injured, and the body uses a significant amount of calories to build new tissue and repair muscles, bones and tendons. For that reason, it is important to eat an adequate amount of calories (but we’re talking calories from healthy foods, don’t let them hit the fast food joints every day to “increase their calories!”). All joking aside, this can be difficult, especially since many athletes lose their appetite due to decreased physical activity, medications or fear of weight gain. Make sure they don’t skip meals, and eat at least every 4-5 hours. If the injury will require a prolonged healing time, it’s ok to have a weight check once a week to make sure they maintain a healthy weight. PROTEIN rebuilds: protein is important not only in rebuilding muscle after a workout, but it’s a key factor in repairing bones, ligaments and tendons. It also plays a role in decreasing inflammation. Make sure your young athlete eats 20-25 grams of protein 4-6 times each day, with every meal and snack, especially before and after physical therapy or rehab exercises. Eat good quality proteins from lean meats, fish, eggs, beans, nuts, seeds, tofu, edamame, beans, and low fat dairy. OMEGA-3s reduce inflammation: omega-3 fatty acids are not only essential for good joint and heart health, but several recent studies have shown that they can suppress inflammation. Inflammation is present to some degree in all injuries and can delay the healing process when prolonged, so anything that can reduce inflammation is helpful. Omega-3 fatty acids are found in salmon, tuna, flaxseed, chia seeds, and walnuts. Make sure you eat at least 2 servings of omega-3 rich foods per week. Injured athletes may want to take a supplement to meet the necessary amount of omega-3. Some reports recommend 3-9 grams of omega-3s when injured, but consult with your health care professional before starting any supplement. And as always, food is best! Don’t forget to LIMIT Omega-6 rich foods, found in corn, canola, soy, and sunflower oils. These foods will actually increase inflammation in the body and may delay healing. VITAMIN D and Calcium heal bones : vitamin D plays a key role in repairing bones after a fracture. It has also been shown to be very important in regulating our immune system and preventing infections. Our bodies naturally produce vitamin D when exposed to sunlight, although research shows most of us are still deficient in it, especially during the winter months. Eat vitamin D-rich and fortified foods, like salmon, fortified milk, fortified yogurt and consider supplementing with 1,000 to 2,000 IU of vitamin D daily. Calcium is important for bone and teeth strength, as well as muscle contractions and the nervous system. Eat foods rich in calcium – leafy greens, broccoli, sardines, almonds, seaweed and plant milks. Eat vitamin D-rich foods and calcium-rich foods together for maximum benefit! VITAMIN C: vitamin C is an important nutrient for repairing connective tissue, cartilage, tendons, ligaments and blood vessels. It has antioxidant and anti-inflammatory properties. Consume vitamin C throughout the day to help with healing. Foods high in vitamin C include citrus fruits, berries, kiwi, red and yellow bell peppers, dark leafy greens, tomatoes, and broccoli. VITAMIN A: vitamin A promotes the production of white blood cells, which help fight off infections caused by viruses and bacteria. Giving your body extra vitamin A may help prevent post-injury infections. Eat carrots, sweet potatoes, spinach, winter squash and kale or other greens daily. ZINC: zinc is important in wound healing, tissue repair and tissue growth. Eat foods high in zinc- meat, fish, shellfish, seeds, nuts, and whole grains. SUGAR: pretty obvious, too much sugar is never a good idea, but especially evil when healing from an injury (or a cold, for that matter!) Your body will have a harder time processing sugars while injured, and too much sugar will delay healing, so just stay away from it for a while, especially HIGH FRUCTOSE CORN SYRUP! ALCOHOL: none of you should be drinking anyway, but when injured, STAY AWAY! Alcohol has been shown to reduce your muscle’s ability to rebuild and repair. Good luck out there and I wish you an INJURY-FREE SEASON!